Tesla will start production of its full-electric semi truck next year. Tesla is being sued by Nikola Motor, which makes hydrogen-powered semi-trucks, in a lawsuit alleging design patent infringements. 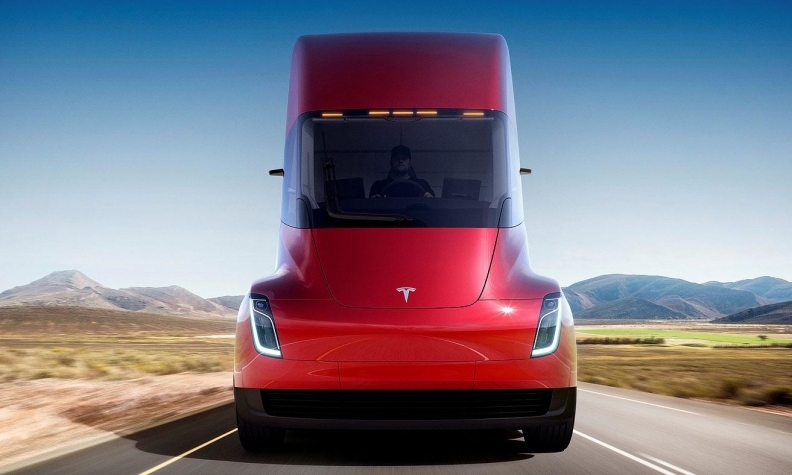 Tesla's Semi, its first electric heavy-duty truck, is "substantially" similar to Nikola's design, the truckmaker said in a court filing. U.S.-based Nikola claims it was issued six design patents by the U.S. Patent and Trademark Office between February and April 2018 for its wrap windshield, mid-entry door, fuselage, fender, side cladding and the overall design of the Nikola One. "Nikola estimates its harm from Tesla's infringement to be in excess of $2 billion," the company said in the filing. "It's patently obvious there is no merit to this lawsuit," a Tesla spokesman said. Tesla CEO Elon Musk unveiled the Tesla Semi, the automaker's electric heavy-duty truck, in November. The company has not given many details of the truck, but has said that it will begin production in 2019.